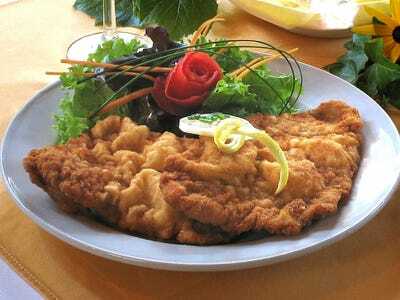 From wiener schnitzel in Austria to feijoada in Brazil to katsudon in Japan, don’t miss these 49 dishes. Pie floaters are 'so fantastic to eat in winter and as a hangover cure,' wrote Quora user Kathryn B.
Asado is the term to describe Argentina's delectable grilled meats -- and grilled Argentinian steak is especially delicious. 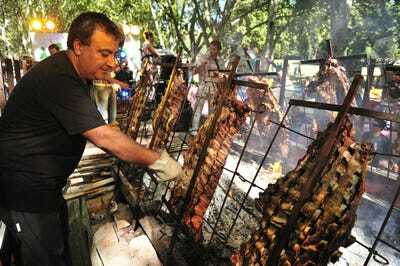 'It is true that most of the good meat goes to the so called first world countries via exports, but I can guarantee that if you have a good 'asador' (the guy making the asado) the taste will be priceless, especially if you're in the countryside,' wrote Quora user Matias J.
Moules-frites (mussels and French fries) may be available in other countries like France and the U.S., but the savoury and delicious combination originated in Belgium. 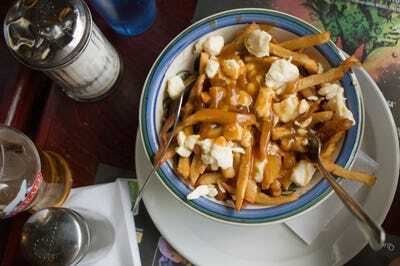 Originally from Quebec, poutine is a delicious calorie-fest that will warm you from the insides:French fries topped with brown gravy and cheese curds. 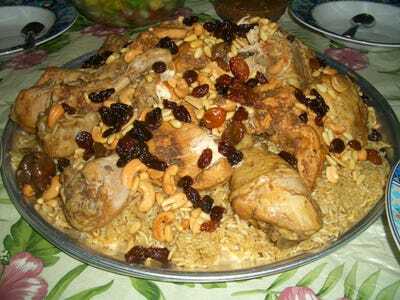 Quora user Josianne C. nominated this tasty dish. 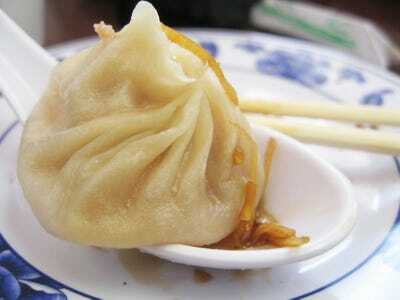 See other incredible dishes from China. 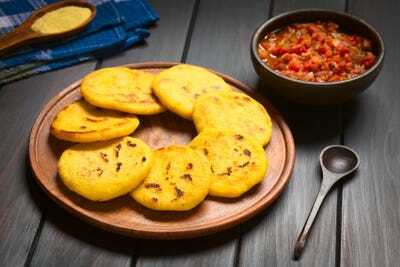 Arepas -- flatbreads made from maize or flour that can be grilled, baked, or fried for a delicious pillowy texture -- are typically eaten for breakfast or as an afternoon snack in Colombia. 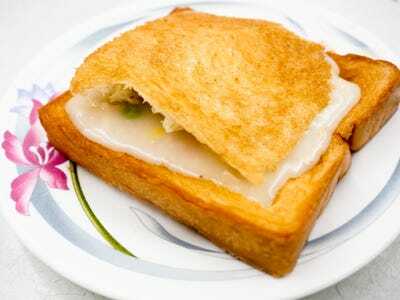 They're often topped with butter, cheese, eggs, condensed milk, chorizo, or hogao (an onion-based sauce). According to Quora user Cynthia Salgado, anyone visiting Costa Rica during December will definitely come across plentiful amounts of tamales, as they're most often made in Christmas. Tamales come in a variety of fillings, including pork, rice, eggs, raisins, olives, carrots, and peppers. 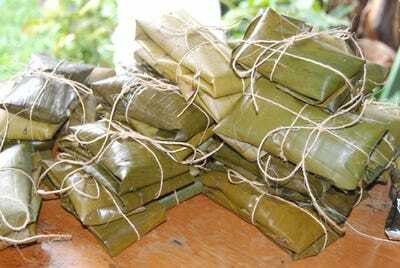 They're wrapped in platano leaves and cooked in a wooden stove. 'I live in Croatia. 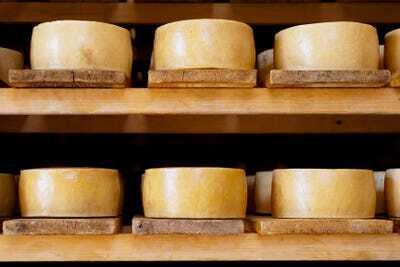 We have the best cheese in the world. It comes from the island named Pag,'wrote Quora user Andrija D.
Øllebrød is a traditional Danish Rye bread that is soaked in beer and boiled to a porridge. 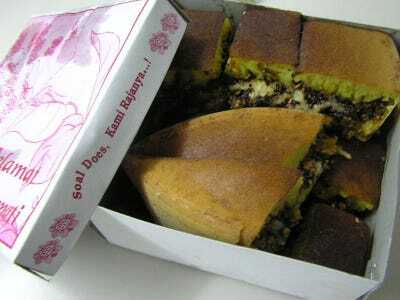 It is often served with whipped cream, making it seem like a dessert though it is usually eaten a meal. 'It's thick and sweet and tastes of rye,' wrote Quora user Pippi Maria Groving. 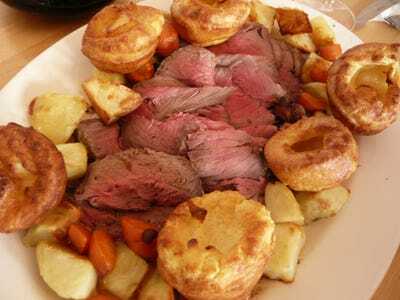 Sop up the flavour of the beefy gravy with the hot doughy bread. 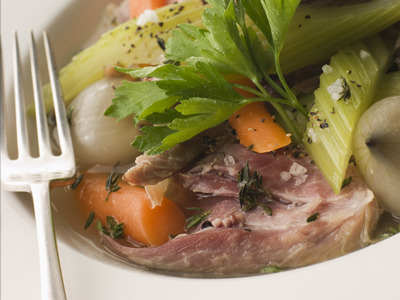 A national dish of France, Pot-au-Feu (pot-in-the-fire) is a rustic dish that used to be stewed throughout winter and topped with ingredients including steak, root vegetables, and spices. 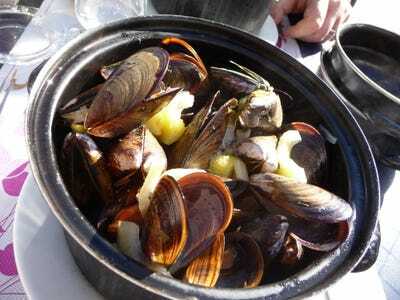 Cooks will traditionally sieve the broth and serve it alongside the meat. 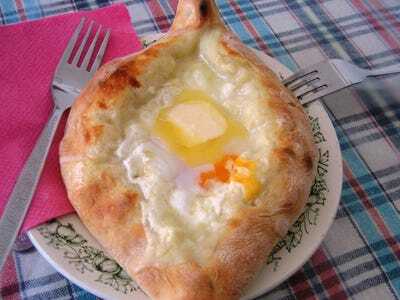 Khachapuri, suggested by Quora user Otar C., is a savoury, chewy bread that's filled with bubbling cheese or egg from the small Eastern European country of Georgia. 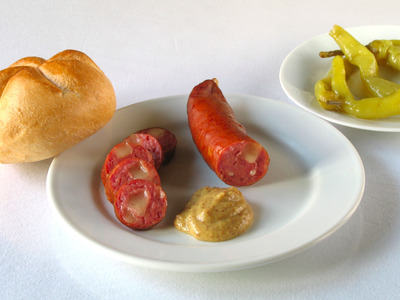 For Quora user Daniel Wiehoff, making one choice for Germany was tough but he recommends Currywurst. 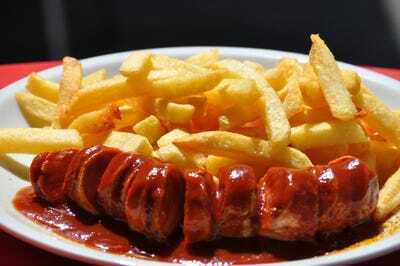 The popular fast food dish consists of steamed and fried Bratwurst (sausage) -- either served whole or cut into slices -- that is seasoned with curry ketchup and served with French fries. 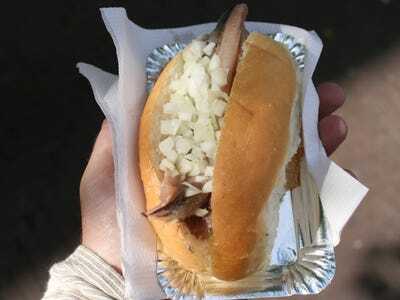 Wiehoff recommends getting it with a Nuremberg Bratwurst -- made specifically using the area's official recipe -- for the best taste. 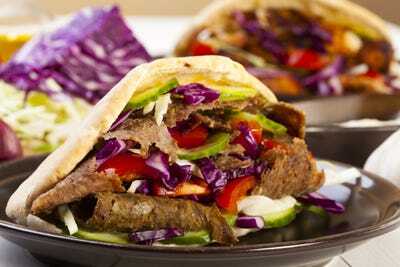 Gyros are made of meat -- normally beef, veal, pork, or chicken -- that is cooked on a vertical rotisserie and served with tomato, onion, and a variety of sauces. 'It's better (and bigger) in the north,' says Quora user Andreas Tasoulas. He also notes that in the south, it is customarily served with Tzatziki, while the north tends to serve it with mustard and ketchup. 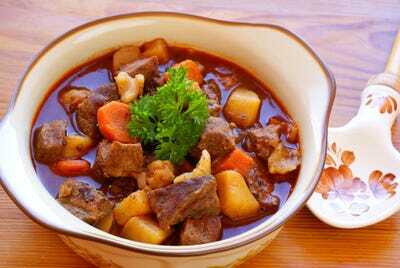 A popular dish in Hungary, goulash is in between a soup and a stew, and has a thick consistency. 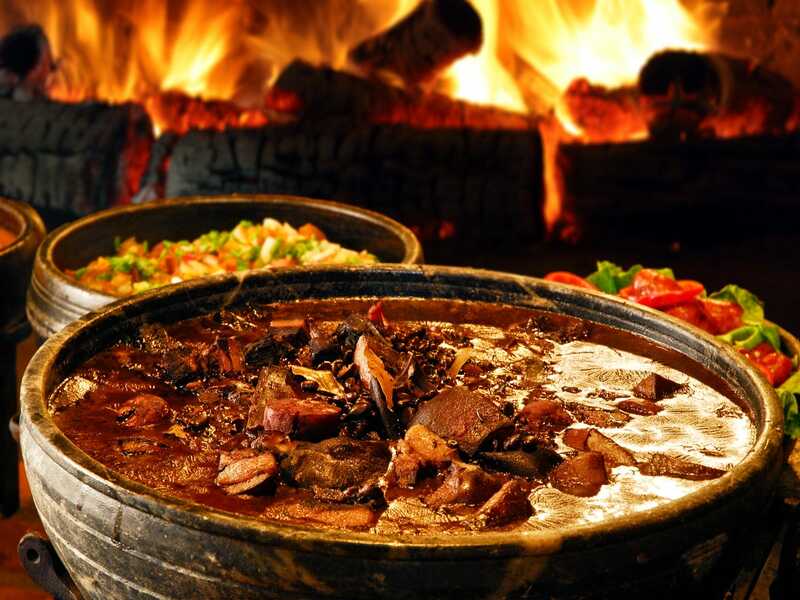 There are many variations on how the hearty dish is cooked, but the traditional recipe includes beef, onions, paprika, tomatoes, green pepper, potatoes, and sometimes noodles. 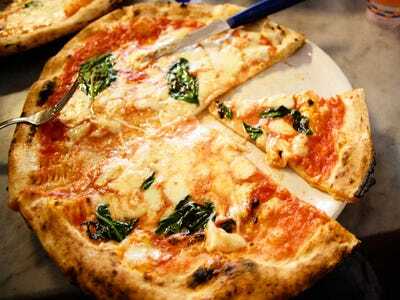 This is an easy one, suggested by Quora user Maria G. Pizza originated in Italy -- and Naples, a city in southern Italy, is its birthplace. 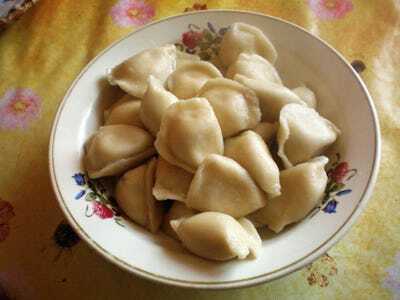 Beshbarmak, suggested by Quora user Marat Beksultanov, actually means 'five fingers' because of the fact that it is typically eaten with one's hands. 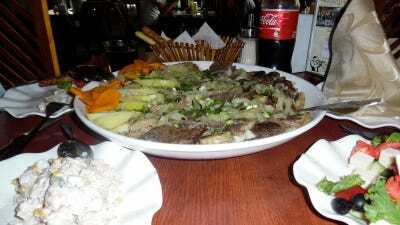 Boiled meat (mutton, lamb or beef) is diced and mixed into boiled noodles before being spiced with onion sauce. 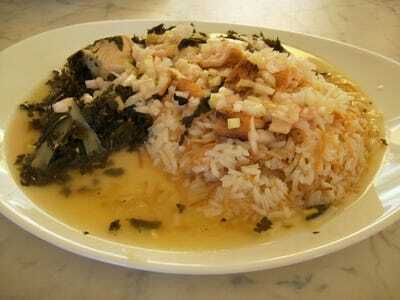 It's served in a large round dish with mutton broth served in bowls on the side. 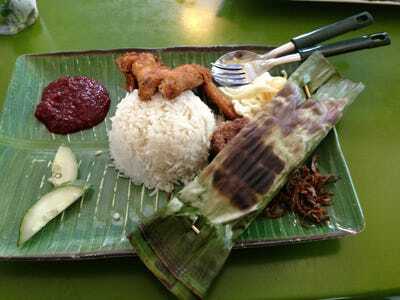 It's traditionally served wrapped in banana leaves and is often accompanied by sambal chilli, ikan bilis (anchovies), peanuts, and boiled egg. With up to 100 ingredients, mole sauce, suggested by Quora user Flor I., is one of the most complex and flavorful sauces in the world, resulting in a rich, creamy, chocolatey and spicy flavour. 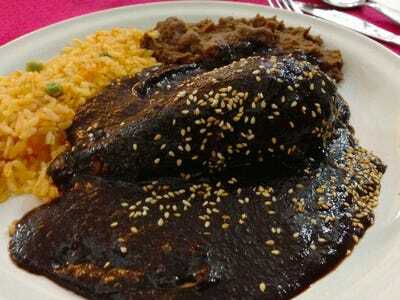 It's originally from the Puebla and Oaxaca regions, but you can find mole sauce -- usually doused over chicken or enchiladas -- all over Mexico. Rijsttafel means 'rice table' in Dutch. It's an epic feast of dozens of small side dishes like satay, sambal, egg rolls, fruits, and vegetables. 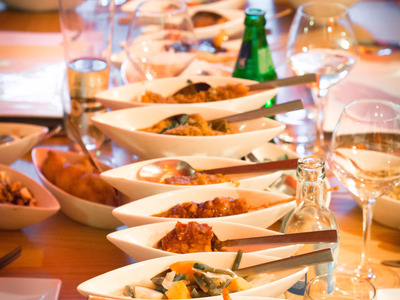 Though the dishes are all Indonesian in origin, the meal originated in Dutch colonial times. 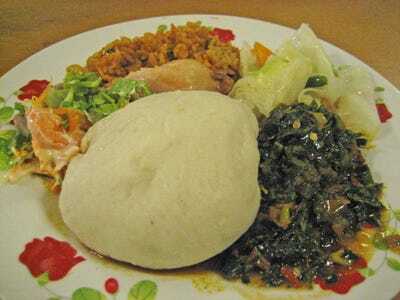 Pounded Yam can be made either by stirring yam flour in hot water or from scratch using cooked white yams and pounding them until they reach a soft texture. 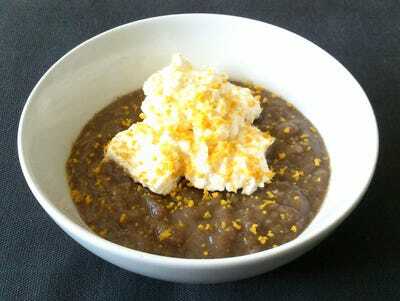 Egusi soup is made from the protein-rich seeds of squash, melon, or gourd plants, and typically contains leaf vegetables, goat meat, and seasonings like chilli. 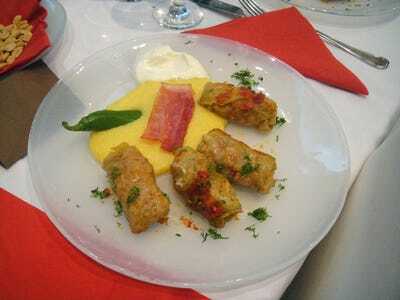 There are considerable local variations on the dish. 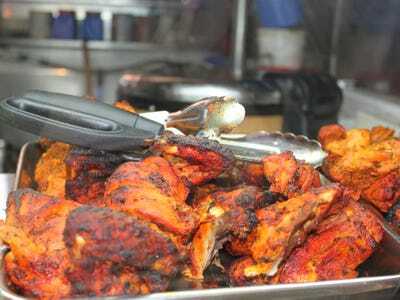 'Guaranteed you won't crave for anything else your entire stay,' Quora user Adamu Shehu wrote. 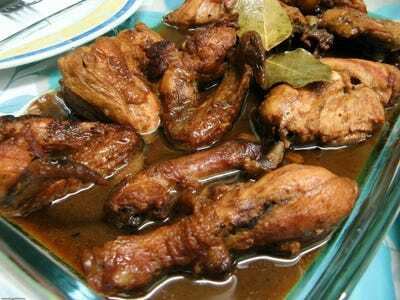 Adobo may be a popular spice, but in the Philippines it's a dish that showcases some type of meat (pork or chicken) cooked in vinegar, soy sauce, garlic, and oil. It simmers in the marinade for a while, soaking up the flavours. 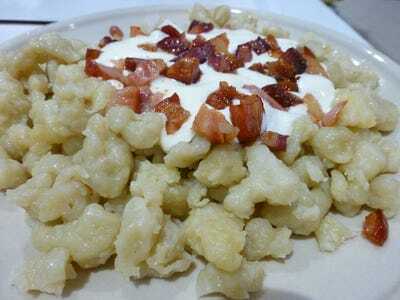 'All I can say is that it is an explosion of flavours,' wrote Quora user Raymund M.
Quora user Clinton Koch lived in Poland and notes Zurek as his favourite dish. A żur (sour) makes the base for the soup and consists of rye flour that is fermented with water for up to five days. 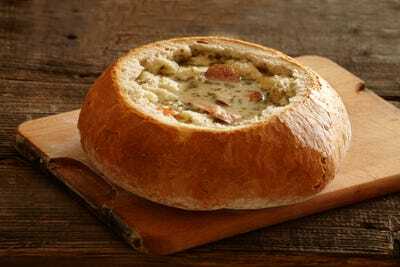 The broth is filled with chopped vegetables like carrots, parsnips, celery roots, leeks, potatoes, garlic, and typically will include eggs and sausage. 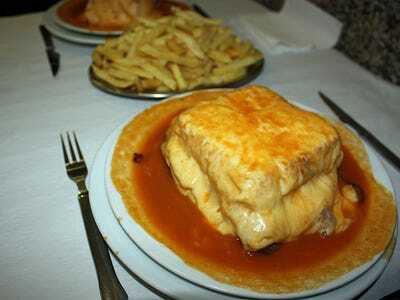 Francesinha (meaning 'little Frenchie') is a Portuguese sandwich made with bread, ham, linguica (smoked pork sausage), and steak, that's topped with melted cheese and doused in tomato sauce. 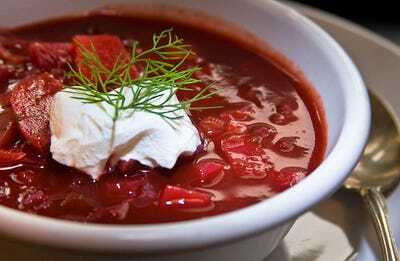 'It is to die for,' wrote Quora user Diane C.
Quora user Nikita B. said any visitor to Russia is 'obligated' to try borscht, a soup made from beet roots. 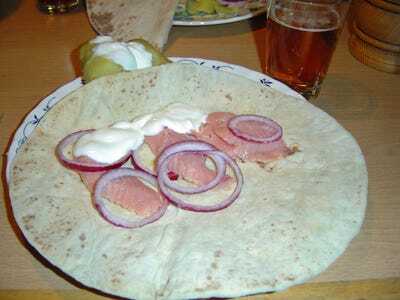 It's generally served cold (though it can be hot too) and often topped with a dollop of sour cream. It's made with pork (about 20% of which is bacon), salt, pepper, water, and garlic -- and nothing else. 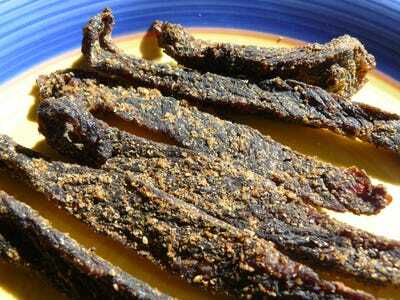 It was suggested by Quora user Martina G.
'It's the South African version of beef jerky but it is awesome by comparison. It's strips of meat, salted and spiced, dried out and truly delicious...ask the locals for the best place to get it in the location you're in as quality can vary,' wrote Quora user Alan B. 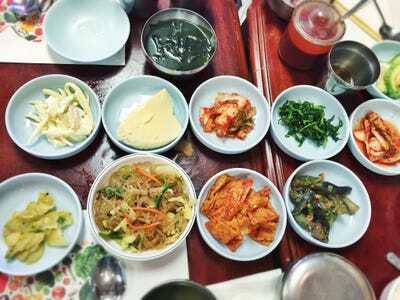 A traditional meal in South Korea consists of so many small side dishes that it's nearly impossible to single out just one -- and no one goes out to eat just one dish anyway. Instead, Koreans love banchan, which basically means small dishes that are served with rice and are meant to be shared. Small dishes might be kimchi (fermented spicy cabbage), guk (soup), gochujang (fermented chilli condiment), jiggae (a type of meat or vegetable stew). 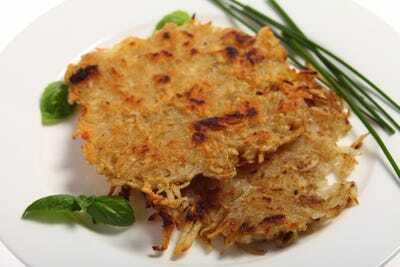 Rösti (or röschti) are thinly grated potatoes that are fried in a pan until they get a golden crisp. 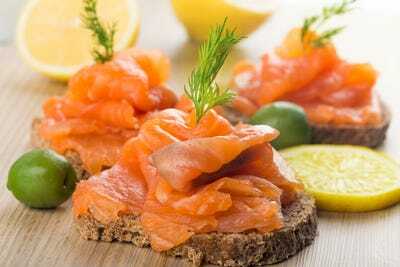 They were originally eaten by farmers for breakfast in the canton of Bern, until their scrumptious flavour made them popular throughout the country. Coffin bread is a piece of super thick white bread French Toast, that is hollowed out and stuffed with something delicious, like three-cup chicken or pepper beef. 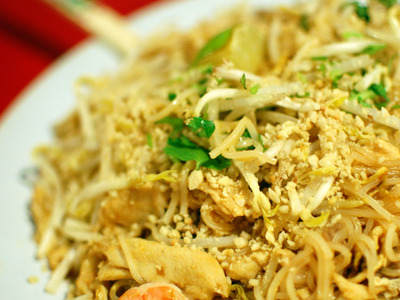 Phat Thai (or pad Thai) was invented in Thailand the 1930s and has remained an iconic dish of the country ever since. Thin rice noodles are stir-fried with ingredients like tofu and shrimp and seasoned with sugar, tamarind, vinegar, chilli, and fish sauce to create a sweet, savoury, and delectable dish. The U.S. is so vast and the cuisine so varied, it's nearly impossible to select just one dish to sum up American cuisine. 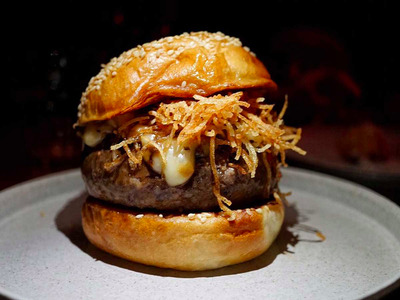 But if you really twist our arm, we'd have to go with the all-American hamburger -- especially when you pair it with crispy fries and a hearty milkshake. 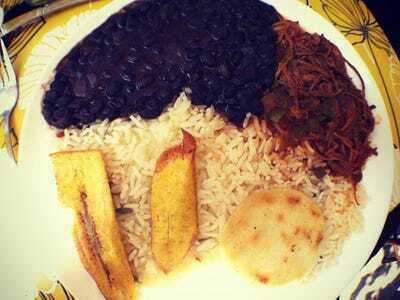 Pabellon criollo, proposed by Quora user Nana D., consists of white rice with stewed black beans, and 'desmechada' (shredded) meat. 'If you're in the North, i.e. 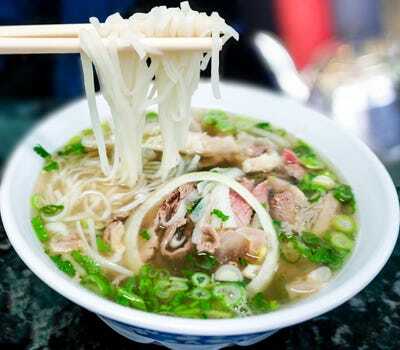 Hanoi, simply do not miss Pho,' wrote Quora user Quý An Nguyễn Hữu. 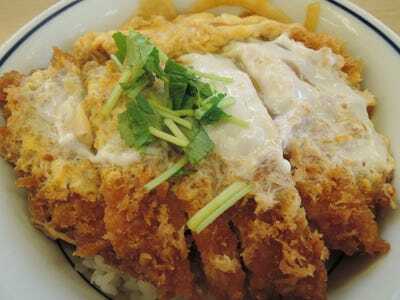 The dish is popular throughout the country though, with restaurants that serve the dish hidden in small city alleyways, village storefronts, and rural lanes. Many versions exist regarding the type of meat used, but they each contain rice noodles and a broth seasoned with shallots, fish sauce, ginger, salt, and spices like cardamom, star anise, and cloves. Some versions will also include onions, cilantro, scallions, and black pepper. 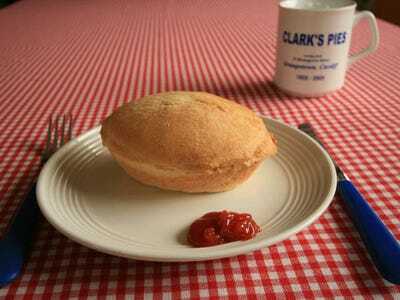 Quora user Alan S. suggested Clark's Pies. 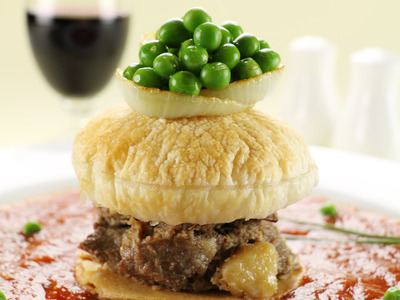 Lovingly nicknamed 'Clarkies' or 'Clarksies,' they are savoury meat pies that were born in Cardiff, Wales.